SEDL researchers explore the relationship between schools' alignment with NSDC staff development standards and student achievement. When people talk about the importance of standards in education, they typically refer to those for students in grades K–12. But standards can also guide schools in providing effective professional development for educators. The National Staff Development Council (NSDC) has created 12 standards for staff development to ensure that educators engage in effective professional learning that can ultimately improve student achievement. "The study provides further support to the notion that teachers and schools that use the SAI to inform and discuss the professional development they receive are spending time and energy on a potentially worthwhile activity." The standards are organized around three themes: context, process, and content. Context standards call for adult learning communities, leadership, and the use of resources. Process standards address the use of data, evaluation, and research along with lesson design, student learning, and educator collaboration. Finally, content standards describe staff development that promotes equity in education, quality teaching, and family involvement. 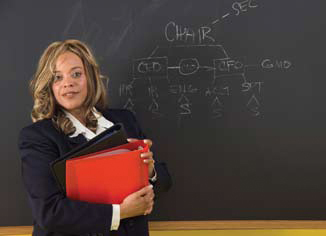 In 2003, SEDL researchers helped develop the Standards Assessment Inventory (SAI) so schools could determine the degree to which their professional development aligns with NSDC standards, identify professional development strengths and challenges, and determine where attention might be focused to improve the quality of professional development in the school. Recently, SEDL researchers explored the relationship between schools' alignment with NSDC standards and student achievement. The objective was to determine whether school-level factors emerge from teachers' responses to the SAI. They also wanted to determine if alignment with NSDC standards was related to positive student outcomes. Researchers compared school-level SAI scores with student achievement in reading and English language arts for elementary students in Georgia and Alabama. Results indicate that there is a significant correlation between schools' alignment with NSDC standards and student achievement. They also suggest that an overall emphasis on NSDC standards may be more important than any single standard. "The study provides further support to the notion that teachers and schools that use the SAI to inform and discuss the professional development they receive are spending time and energy on a potentially worthwhile activity," says Michael Vaden-Kiernan, director of Research and Evaluation at SEDL. The study also supports the increasing need for valid and reliable instruments to guide improvements in school professional development.